Episode 31: 31 Donald Trump for President of Nothing! We answer listener questions about Trump, climate change and other non-controversial things! Whew. 2016 just isn't good anymore. We interview Audrey Assad, a true artist. Episode 27: 27 Bonus Episode! 'Star Wars: The Force Awakens' Review! We did it! 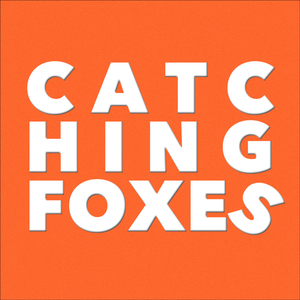 Catching Foxes reviews The Force Awakens! Luke and (super special guest co-host) Scott talk all things The Force Awakens. This isn't a scene-for-scene-review, but more of a nuanced look at The Force Awakens and its implications both inside and outside Star Wars. Andy talks RedeemedOnline.com and #ShareJesus, as well as his ministry philosophy. To honor a friend that died, Matt Covey. Luke and Gomer discuss how hard it is to evangelize your own families and how easy it is to become an overzealous, preachy, arrogant jerk to your family instead. Br Peter talks on teaching middle school kids to be quiet, the Holy Spirit, poverty pilgrimages, and his tendency to date women that want to be nuns. The Pope through the eyes of an evangelist.